Now that I have been in the Netherlands for nearly a month, I think the best word to describe this country is: simple. The good kind of simple. A small country, flat as can be with no natural disasters and no freaky looking bugs or dangerous animals in sight. My friends here were worried that it would be too simple for my usual tastes. I told them all not to worry, I came here to do as the Dutch do. Ride a bike everywhere, cover my toast in chocolate sprinkles, shop at Albert Heijn, visit Efteling, wake up everyday to loud music playing in the city centers nearby, and eat bitterballen. I’ve seen much of the south but also wanted dabble a bit in the north. Thanks to my friend Fridse, I was able to do that and then some! I met Fridse and also his buddy Jelle in Koh Tao, Thailand last summer while I was in the middle of scuba diving classes. 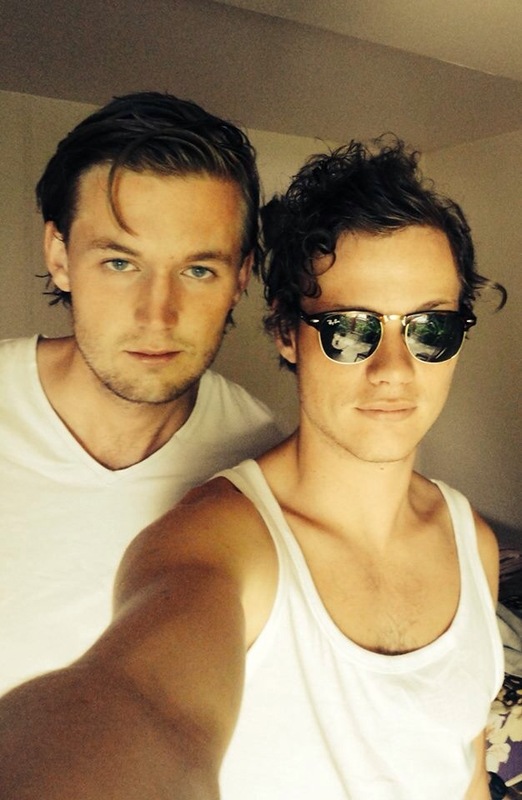 Jelle and Fridse. I met these two travelers briefly while backpacking through Koh Tao, Thailand. He invited me up to his neck of the woods in Groningen, which is a big student city in Holland. The students are pretty much the heart and blood of the town, because otherwise it would be another plain jane city. I temporarily left Mieke and Hanneke in Ede and took a train about two hours north up to Groningen. There, Fridse and his roommate Sjoerd scooped me up. You’re probably wandering how in the world you pronounce ‘Sjoerd’. It’s pronounced like Shoo-erd and Fridse is pronounced like Frit-suh. Something like that? Anyways, we reconnected and we walked a short distance to their flat. They lived in a prime spot, right in the middle of the city, extremely close to everything! So close that they didn’t need bikes at all. We caught up, reliving stories from Thailand and what we’ve been up to ever since. Fridse informed me that I came right at the end of student week, which is an introductory week very similar to ones back home in Michigan. 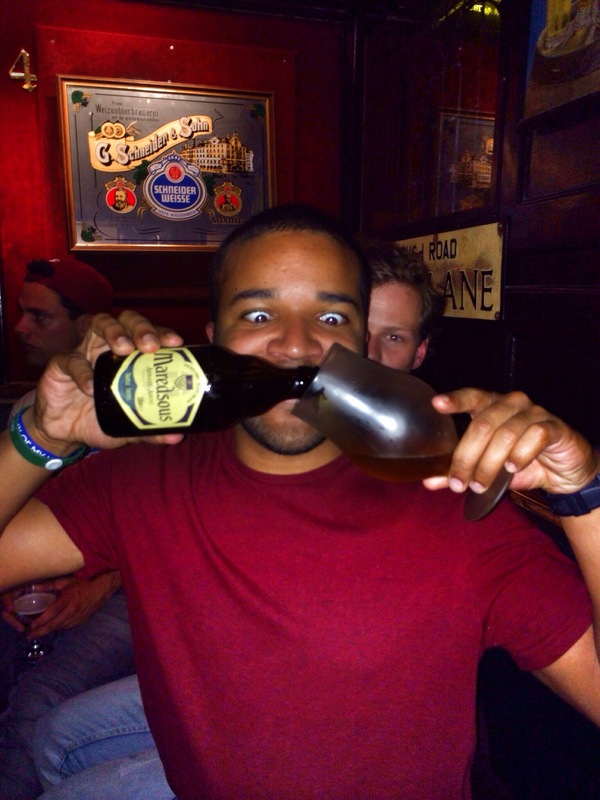 A big part of student week are the night caps with fellow students and friends where they all go to different bars and clubs and drink the nights away! Do as the Dutch do Dan. It also just so happens that I came on the perfect day. A good friend of his just completed his masters and invited everyone out in town for the evening. For me, it was a great way to meet and get to know some of his friends too. And thankfully everyone could speak English very well, and were even considerate into speaking as much English as they could around me. 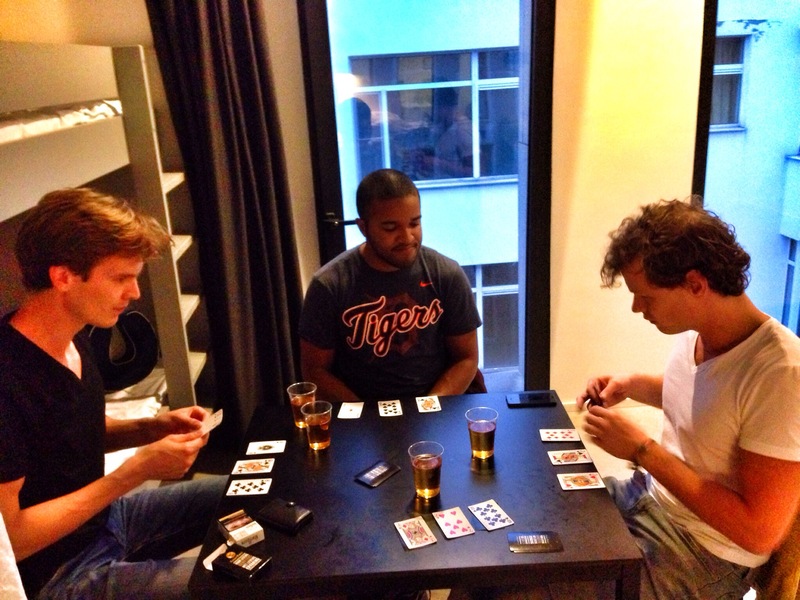 And so we began the night with a few local brews and played Black Jack. Later on we went out to a few spots in the middle of the city. As a matter of fact, the next few nights involved lots of bar hopping and student boozing. I did my best to keep up with these guys. In the midst of all the flair, I learned of a very, very bad word that they say in this country. When I repeated the word, they guys would warn me to be careful saying it loud because it’s the worst word you can say to someone. To me, the word sounded like a harmless cartoon character. I won’t say it on here because it is that bad. Not even thinking, I’d blurt it out in public often trying to remember how to even pronounce it correctly, and whenever I did, they’d cackle in amusement but warn me to be very careful. In turn, I taught them some bad words which to them sounded like nothing either. 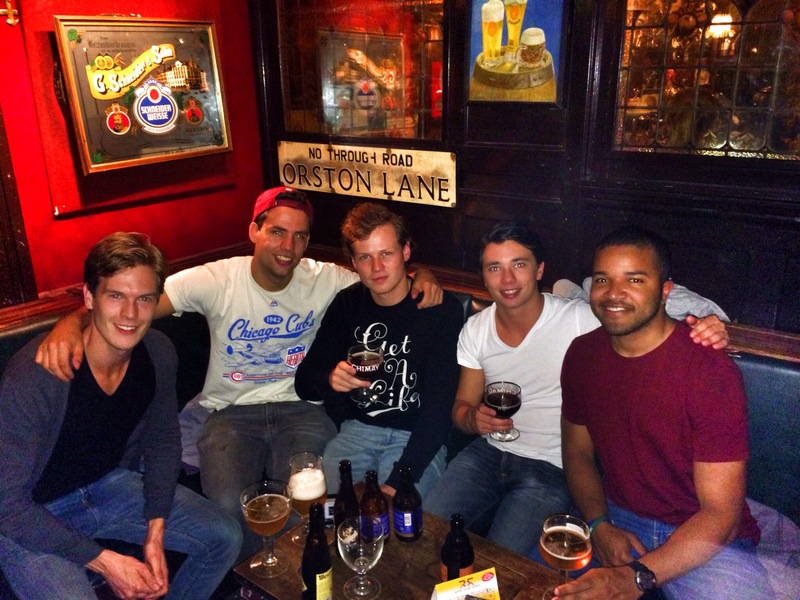 On one of the nights, one of Sjoerd’s friends invited us to…well… I don’t even know what to call it. It was like a basement party but it wasn’t an actual basement. 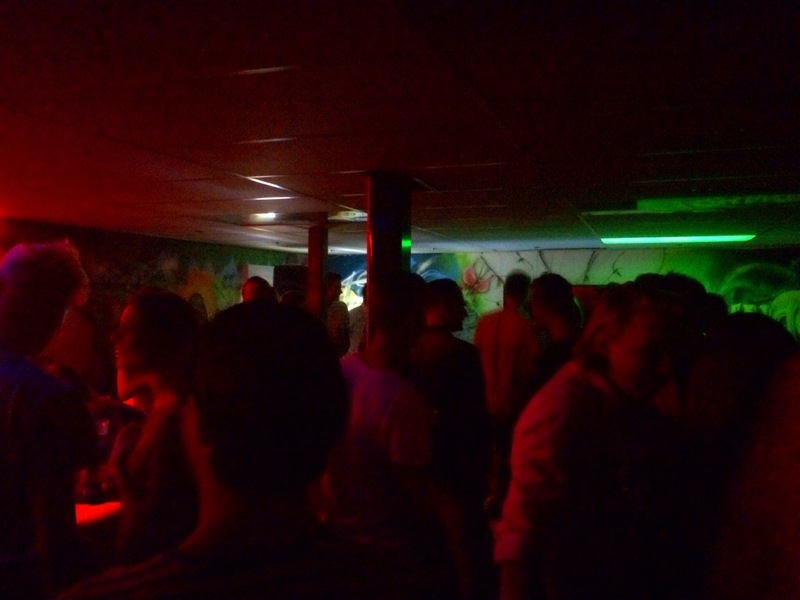 Sjoerd described it as more of a private rave. I’m not exactly sure what a rave was but I guess this was it. A small room with a DJ, flashy lights, tons of loopy students, and balloons filled with laughing gas everywhere. I actually have no idea what was in those balloons. Actually, I was so oblivious to everything going around me at the time! Too much beer I imagine. The cops would come every 30 minutes or so to try and shut the place down. They eventually succeeded, but by that time we were ready to go anyways. Bars stay open very late in Groningen, around 6am. Students wouldn’t get to a bar until around midnight and stay out until five or so. That meant we always went to bed around five in the morning and didn’t wake up until one or two in the afternoon! Fridse would always whip up some sandwiches and then we’d play Dead Ops on his Xbox. It was a really cool time in Groningen. 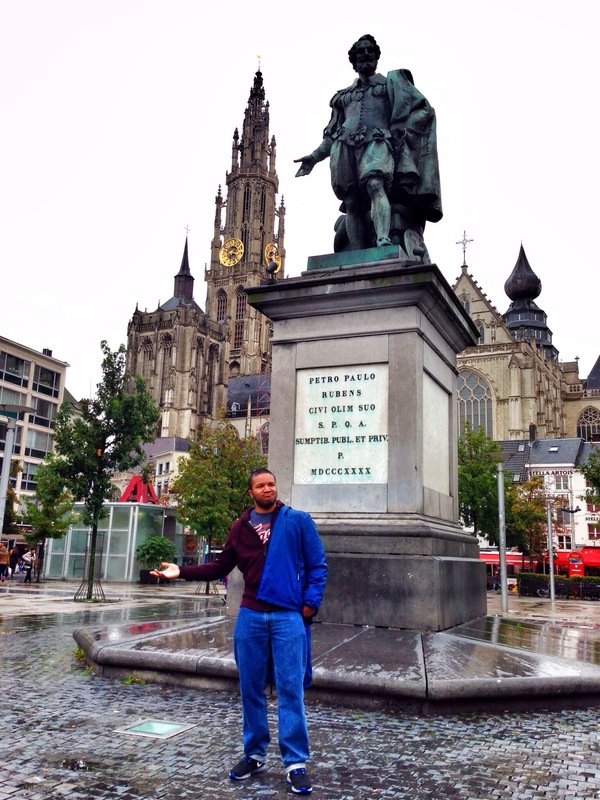 Fridse wanted to show me more than just the student life in Groningen and decided to take a short trip Belgium, specifically Antwerp. 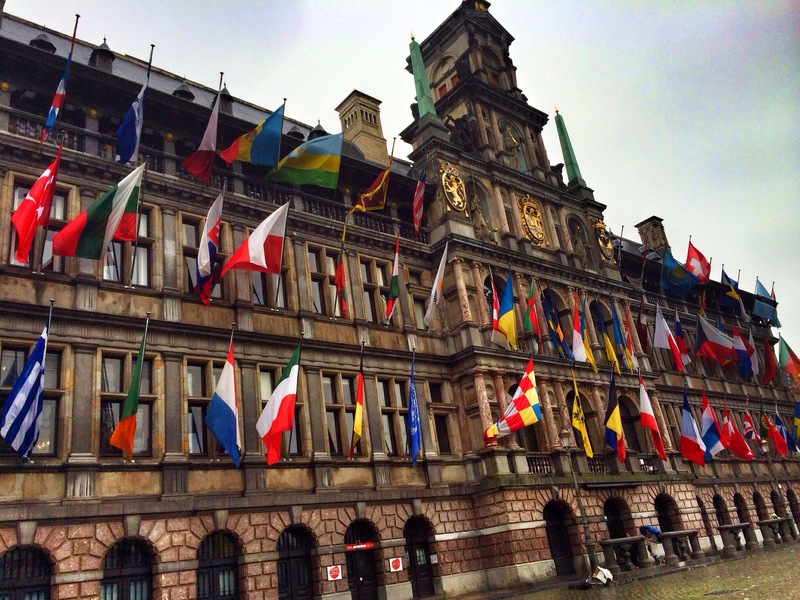 Its a city filled with rich history just to the south of Holland. To get there, we needed to take a few trains which took just a few hours. I’m game! 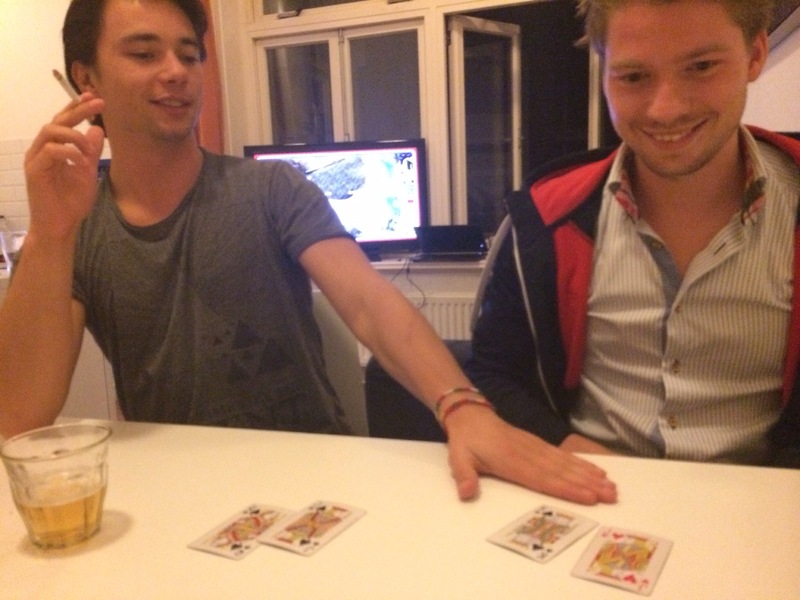 Even though he was on a tight student budget, Sjoerd was a trooper and joined us, along with Fridse’s friend Tom. 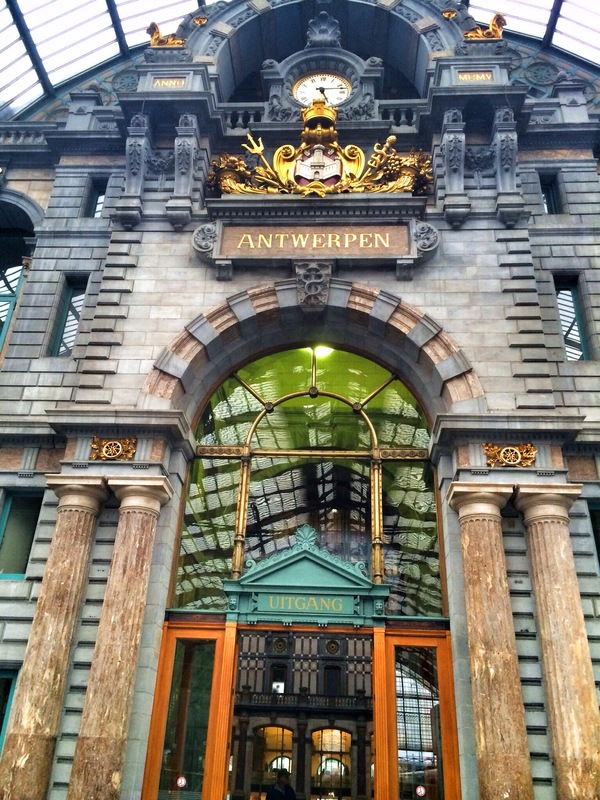 It immediately began to rain as soon as we exited the Antwerp train station. 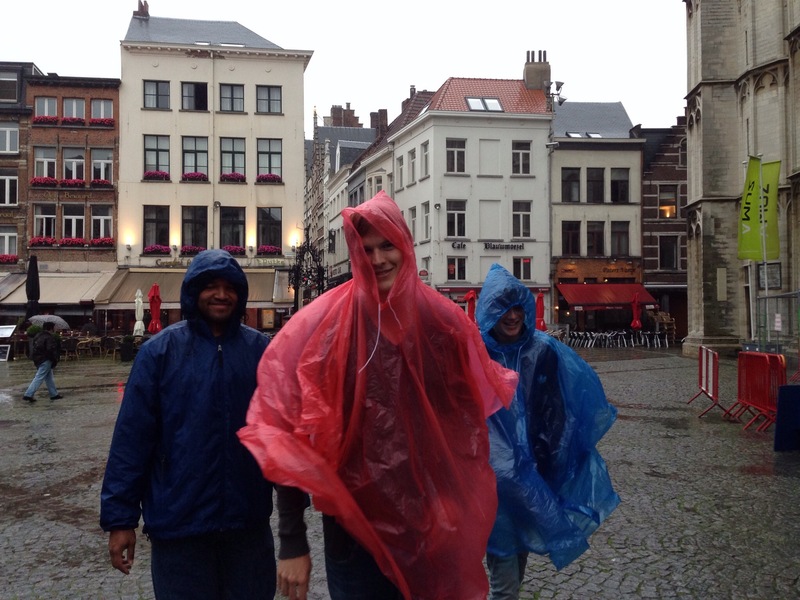 Luckily, I brought my rain jacket with me which has proved to be extremely useful on my stay in this part of Europe thus far. 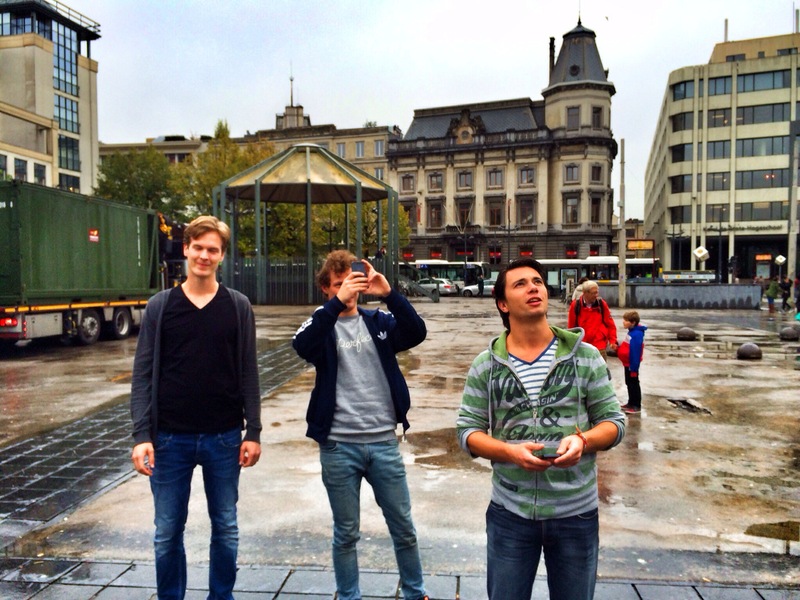 We went to Belgium without a plan, but first decided that we needed to find food! Afterwards, we found a hostel nearby that we would call ours for the next two days. We stayed there for a bit to let the rain die down and once it let up a bit, we went outside to explore some. 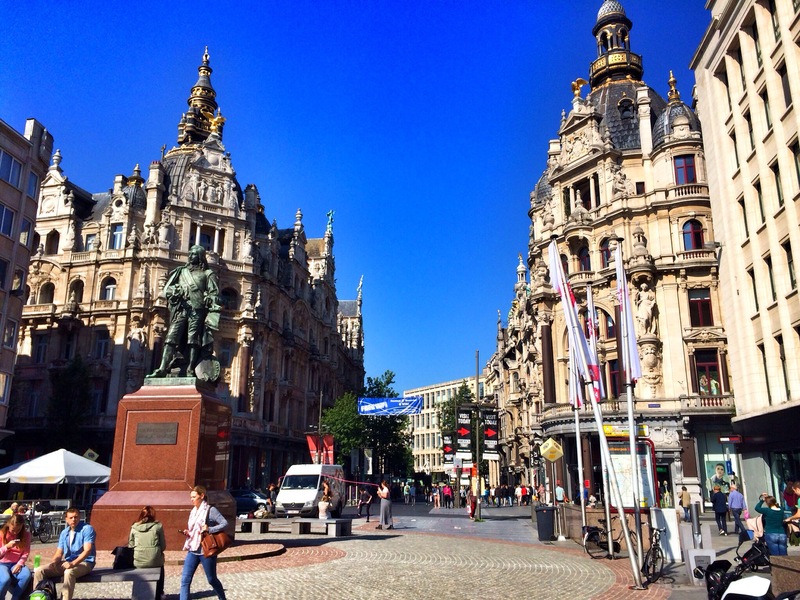 Antwerp is one of the few major cities in Belgium, built out of stone pallet walkways and shouldering buildings aged in European history. There were many hallmark monuments and statues to be recognized. Fridse thought Antwerp would be great for me to see and despite the rain, it really was a city unlike any one I’ve ever been to. I had another goal while I was here. 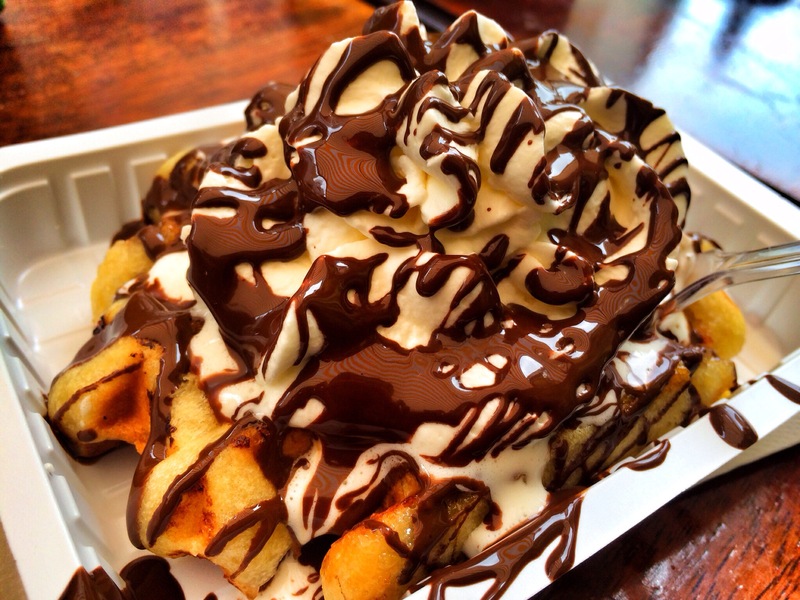 I needed a Belgium waffle. I only heard of them, never experienced them. That is, until now. Even though it was soaking wet outside, we continued the games inside, no problem. 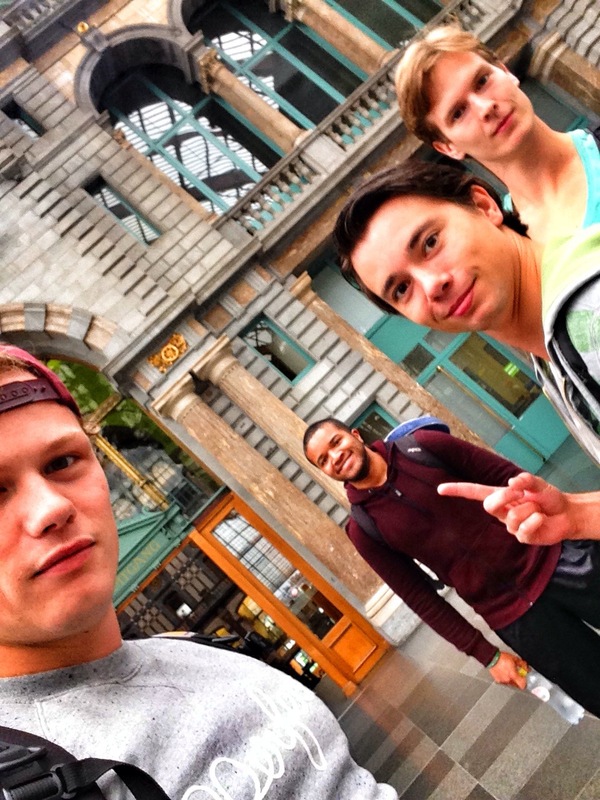 On one of our last nights in Antwerpen, the guys were hankering for a discoteck night. Unfortunately, Tuesdays are one of the worst days to go out at night because everyone stays at home. We met two young locals at a bar by the name of Stein and Joup. I’m probably spelling those way wrong. Anyways, they knew of a place by the pier that might be open. So follow them we did. We took a cab to the pier which was completely under construction. 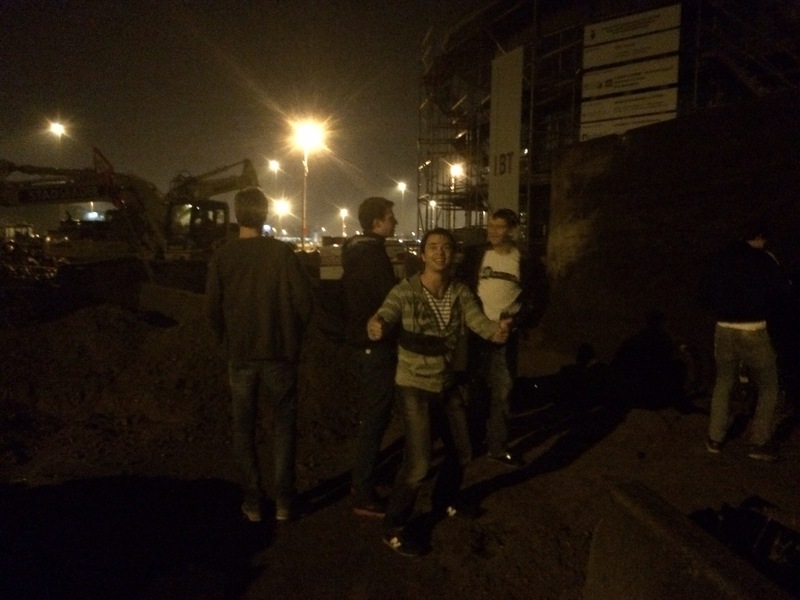 The cab driver dropped us off in the middle of an eerie construction site, with no one in sight. Where the heck are we? We followed the two locals over mounds of tire-tracked mud, through cobbles of cement to a gate that we had to climb and hop over. “Are you guys are taking us somewhere to kill us?” I asked jokingly. “But for real though.” Because we were in the middle of nowhere. 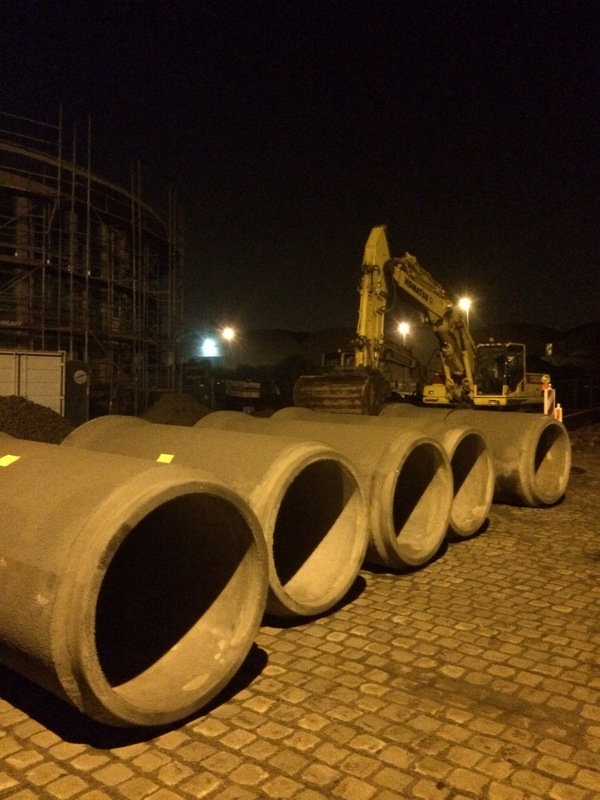 We rounded the peer into an alleyway that led to a warehouse that was pumping loud house music. There were no signs for the club or anything. This place was in the middle of no-mans land. There were two soldier-like bouncers standing in front of the entrance. We tried to go inside because we didn’t have a membership card. What kind of discoteck needs a membership card? After much effort from Fridse and the two locals, the bouncers wouldn’t let us in. It was okay though because it was 4am and my bed at the hostel was calling my name! The next day was the only day the sun would shine while we were in Antwerpen and unfortunately I had to leave Fridse and the gang to head back to close out my part of Holland in Ede. Fridse, and also Sjoerd, have been spectacular hosts and gone above and beyond to make me feel welcomed. And I definitely did guys! Until we meet again. I took a train back to Ede and couldn’t wait to share the new bad word I learned! It was also nice to give my liver a break. I have just one more post from Holland before I make way to other parts of Europe.